So, as the one year anniversary of owing my HTC Vive, I’m reminded of my 1st year anniversary of owning my Oculus Rift DK2. I re-read the post and marveled how in all that time I’ve come so far – and how much I still have to go. 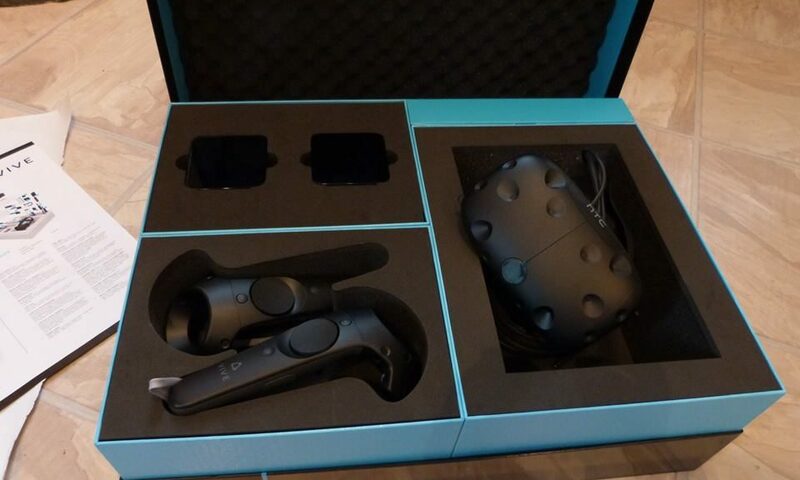 Still, when I ordered the Vive, I felt that despite its rather hefty price tag (and the amount of hustling I needed to do to pay for it) it was the right purchase, as both investment in game development and entertainment. So I jumped on the pre-order hype train and started working out ways to pay for the darn thing (and took a bit of griping from the wife…) Luckily, when the shipping noticed came, it was slated for delivery when we were going to be home, as opposed to the Rift, which was delivered while we were on vacation. Ye gods – the thing was slick. I mean, the visuals weren’t as good as I was hoping, but the interactivity and room scale just blew everything out of the water. The controllers reminded me of the old Wii, being able to interact in a way that felt natural and intuitive. The Aperture Science orientation experience was spot on. I then quickly downloaded the bundled software that came with it. And was doubly amazed. I was a bit hampered with my small office space, so I couldn’t take full advantage of ‘Fantastic Contraption’ but the few levels I could do showed amazing potential for clever party games and problem solving. I hadn’t even started porting over my DK2 Unity projects when I was taken over by an irresistible urge to scrap EVERY single thing I had worked on until that moment and throw it all away to being making a ‘Thief: The Dark Project’ homage /remake within 30 seconds of playing ‘Longbow’ – I could easily see how it would work – since Thief used stealth and thinking rather than run & gun, locomotion could be slowed down to not upset the player and make people nauseous. Fast movement could use some style of teleportation with a ‘cool-down’ period so it wouldn’t be overused. The controllers as blackjack / sword – and yes, the Longbow mechanics for those water / fire / rope arrows. My mind lit up with the ideas of raycast lights and multi-resolution hit boxes, so you would have to duck out of the shadows and not just stand in them. Leaning around corners to watch enemy patrols. I was ready to pull out the ol’ game design notebook and start diving into a Sisyphean task when I reminded myself of the sheer difficulty of just getting animations triggered in a simple way – THIS project would suffer defeat in less than a week, due to its complexity. Oh well – I can always hope that someone ports The Dark Mod over to VR, much like the excellent Doom 3 BFG mod. 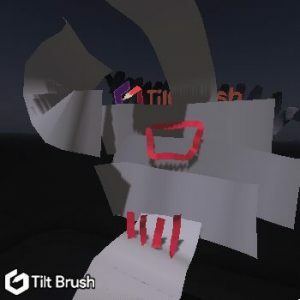 My next dive into the Vive was Tiltbrush – and while initially impressive, I found myself underwhelmed by a few shortcomings: there was no export and everything was simply flat 2D extrusions. I know some of these issues have been addressed since, but what I truly wanted was a 3D sculpting experience, like Sculptris in VR. I’ve seen a few polygonal editors and a few sculpting programs, hopefully they will improve with time. So, a year later – I’m still blown away by the Vive – things like wireless, or wider FOV will be nice, but in the meantime, dev’ing for it is one of the most amazing challenges I’ve ever done, and its still the go-to entertainment. When the wife takes the kids to grandmas for an overnight; my neighbors willingly bring beers in exchange for blasting zombies in VR.